Dr. Edward L. Owens is the son of Pastor and Mrs. Leo Owens of Decatur, Alabama. He is married to Dr. Claudette Owens and is the proud father of three sons and a lovely daughter-in-law, Jeremy "Jae", Edward (Liillian) "Chip" and Arri "A.J." He also has one grandson, Josiah. As pastor of the Shiloh Fellowship, Pastor Owens and his family are leading the church in the vision the Lord has given him for the congregation. He enjoys the support of a dedicated pastoral, ministerial, leadership and support staff. In addition, the congregation has overwhelmingly responded to the Holy Spirit through the Pastor's teaching and preaching and has experienced tremendous spiritual growth. Attendance at Sunday School, Bible Class and Prayer services are almost equal to Worship Services. Dr. Owens has a love for music. 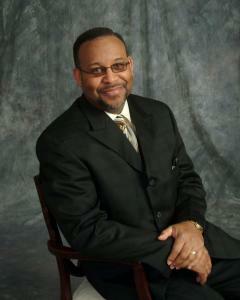 He is a very accomplished organist and has served as musician for several community affiliations and churches. After his salvation experience and walk with Christ, Pastor Owens considers his family his greatest accomplishment. He is the fourth of his six siblings. Evangelist Owens was his college sweetheart and he lovingly enjoys calling her the jelly on his biscuit. Dr. Owens' philosophy of life is, to be an instrument of the Lord in whatever capacity He wants him to be. To promote business and commerce for the Decatur and Morgan County area through volunteer leadership in economic, political and social development.